I watched a show called “Stan Lee’s Superhumans” That featured a guy who could run forever with out getting tired (eg. 80 miles straight, no problem). I was very curious to see how he was able to do this. Long story short, this was possible because his body did not constantly produce enough lactic acid to cause muscle fatigue. “Lactic acid is produced during intense levels of exercise when the oxygen demands of the muscle fibers increase beyond what the blood is capable of delivering. To produce the energy needed, the body begins another process, which works in the absence of oxygen. Lactic acid—a by product of this process—locks up your muscles, and because it is an acid it causes your muscles to experience that burning sensation.” — Edmund R. Burke, Ph.D. This got me thinking, “How could I prevent my muscles from getting tired.” A little bit of research revealed my best bet was to use baking soda. Yes, baking soda. Most of the websites I looked at suggested taking around 2 tablespoons of it. A while ago I tried giving baking soda a shot, but it was only 1/2 a tablespoon or so. I decided I’d go all out and try all 2tbs. I had a teammate (my brother) bring me some baking soda because I was already at the rink. He laughed and asked me why, but he willingly provided it. Here’s were it got interesting. The first time I tried this, I put the baking soda in a couple of empty pill capsules, but this time it was just in a sandwich bag. I decided to just rip the corner off of the plastic baggie, man up, and pour it down my throat. It was so GROSS! I got through about a tablespoon, chugged some water, and tried for some more. All-in-all I ingested about a tablespoon and a half. The other team only had 7 players. However, I always have an energy drink and I always stretch before each game. I also usually play defense (which usually means less intense skating for me), but this time I played center and I usually have 2 subs when playing center, but this time I only had one. One major thing I noticed was that my muscles didn’t get tired until the last 5 minutes or so of the game. Usually I have to stretch after the second -or even first- period, but I didn’t have to this game. I also noticed that my muscles weren’t getting fatigued as quickly as the usually do and the only times I was really tired was when I went down the ice and back a couple of times in a row. This was mainly due to shortness of breath. With this said, I really do think it made at least a little bit of a difference. Of course, it could just be a “placebo effect“, but I would gladly try this method again if there was some way to take 2tbs with out having to swallow 15-20 pills or chugging it straight. This entry was posted on on February 26, 2011 at on February 26, 2011 and is filed under health. You can follow any responses to this entry through the RSS 2.0 feed. You can leave a response, or trackback from your own site. Personally, i would put in about 2 Crystal Lights or some other flavoring im about a 30 FL oZ or more jug and just mix in the Baking Soda. 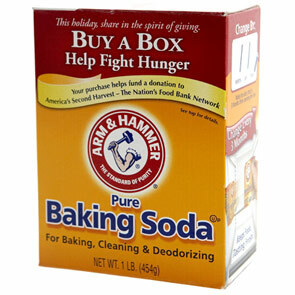 It would most likly dillute the flavor of the baking soda and still provide the effects of it. I play ball hockey and I tried this last night. 1. I agree it taste super gross, even mix with Gatorade. 2. unfortunately I had the explosive diarrhea you talked about in your article. 3. I did not feel as tired physically, but my arms and hands started tingling almost like they were falling asleep.